For other areas in Australia and abroad, please contact me. I’m available for speaking at schools, doing author talks and writing workshops. I’m happy to speak for ages 8 to 15 (grades 4 to 9) and can do anything from small groups to whole grades. These author talks usually go for 45 minutes with 10-15 minutes for questions OR a reading. The writing process: How my books are made, from the idea to the publication itself. The inspiration: How did I get started as a writer, and where did my ideas come from? The beginning: Did I always wanted to be a writer as a kid? How did my teachers inspire my stories? Behind the books: Starting with Thai-riffic!, I show how I draw ideas from my own life and put them into my books. Natural Born Loser: Growing up, Oliver Phommavanh always felt a little weird, left-field or just left out. But like the characters in his books, he wears his nerdy heart on his sleeve and lets his creativity shine. 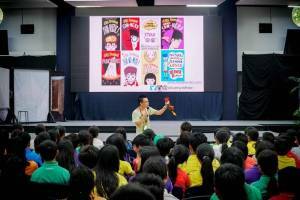 Find out how Oliver became a voice for the nerds, class clowns and crazy kids, and what inspired him to write Thairiffic!, Con-nerd and his latest book, Natural Born Loser. Life’s Thai-riffic! 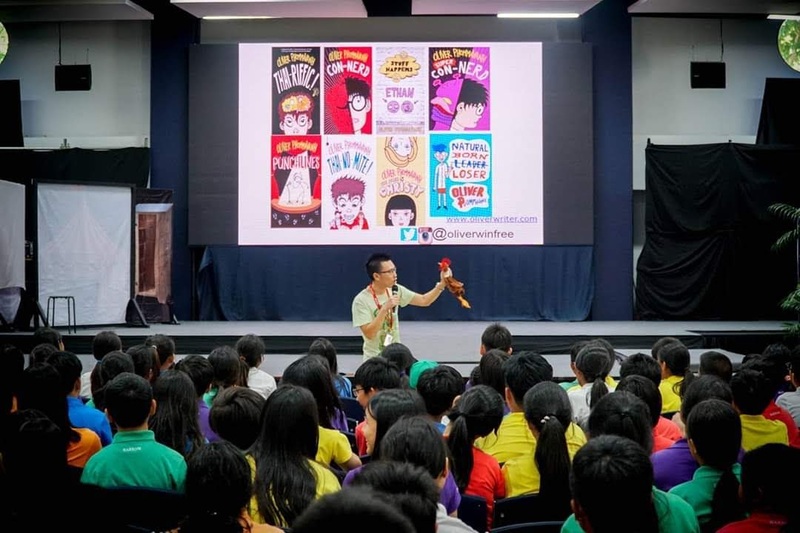 Oliver Phommavanh still has dreams of being a dinosaur, but he’s happy being an author and comedian for now. Find out where Oliver got his ideas from to create his hilarious books, like Thai-riffic and The Other Christy, as well as his latest books Natural Born Loser and Don’t Follow Vee. Warning, things will get weird and nerdy! My writing workshops usually go for an hour, but can modified up to 2 hours, or even a whole day session (for writers who are keen). I offer two workshops. Some of the content may overlap in both workshops. Everyone has a sense of humour but does your humour make any sense? Oliver will go through some techniques of how to come up with some ideas for jokes, weird characters and wacky story lines. There’s a little bit of drawing from your own experiences, actual drawing of characters and more. Discover how easy it is to inject some laughs into your writing. Want to write great stories but don’t know where to start? Oliver will take you through some brainstorming methods of how to gather ideas for characters and plots, using personal experiences. There will be 4-5 writing exercises that will help students plan their stories whilst overcoming their own pitfalls to creative writing. Ideal for reluctant writers. 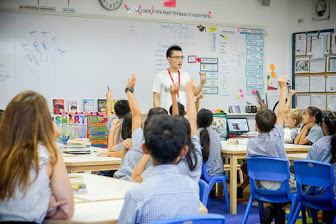 I can cater these workshops to cater schools’ needs. 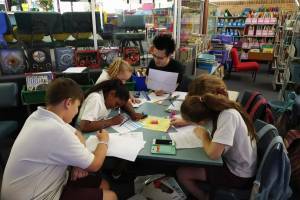 We were delighted to host Oliver Phommavanh for a whole week at Harrow Bangkok. He was awesome! 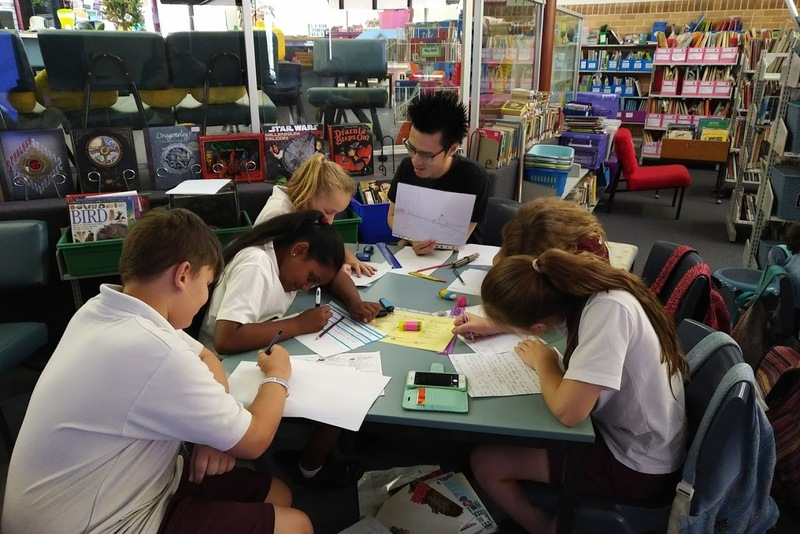 He entertained and inspired students from Year 4 to Year 9 with his action-packed presentations and creative writing workshops. Oliver was astonishingly funny and was able to engage every student in his creative writing activities. He truly ignited and inspired all students with his strategies to capture ideas to develop as writers. We can’t speak highly enough of him . 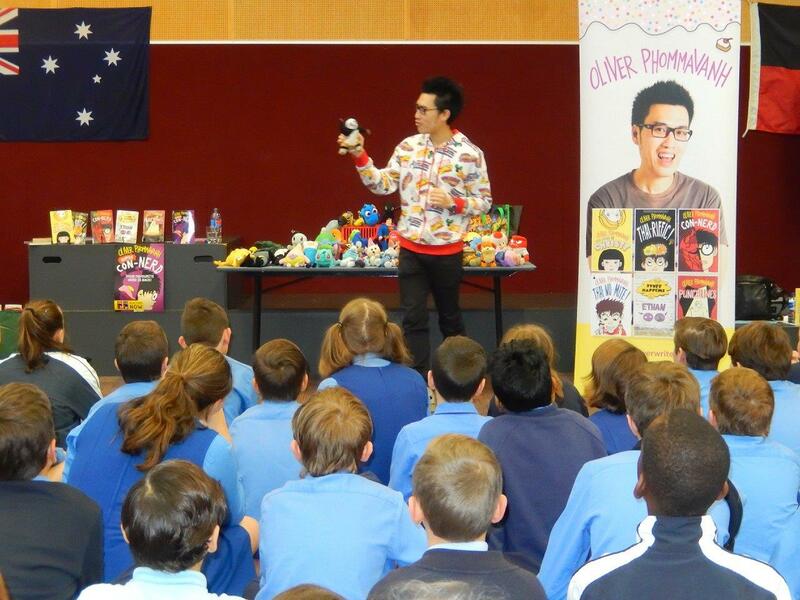 St Leonard’s College were delighted to have Oliver Phommavanh come and speak with our Year 5/6 students the week after Book Week. Oliver was incredible funny as he shared how his personal stories became inspiration for many of his book or character ideas. He had the audience engaged from start to finish and students are asking can he come back next year! A fantastic experience for our students and especially a small group of reluctant readers who are now asking for his books. May 5th: Family fun day, 3:30pm The Never Ending Quack Up!